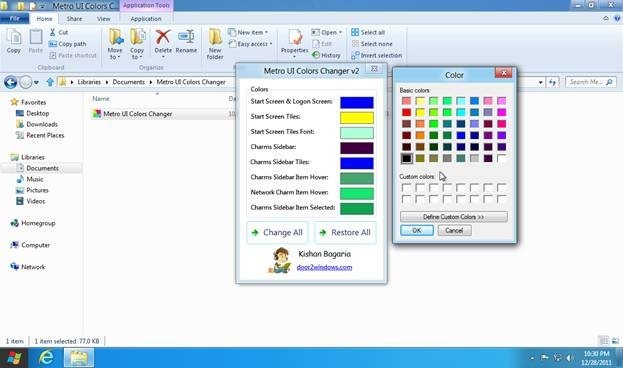 Here is How To Change Colors Of Elements In Windows 8 Metro UI. 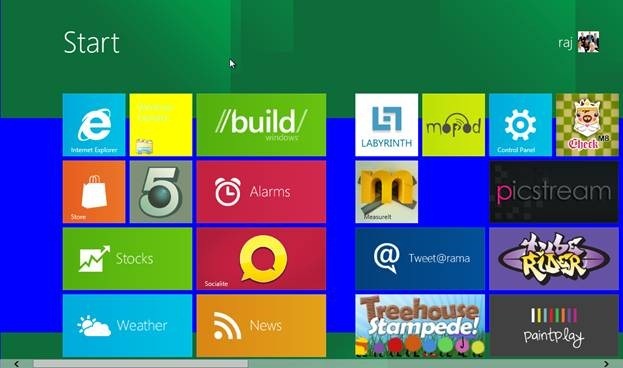 No customization utility is powered by Microsoft in Windows 8 to achieve this task. So, we will use a third-party application called “Metro UI Color Changer ” for this purpose. You will get a .zip file after the download is complete. Unzip it to a location of your choice. This utility is not required to be installed in your system. You can run it just by double clicking the unzipped file. Also check out Windows 8 Themes for Windows 7, Vista posted recently by us. Using this tool, you can change the background color of the start screen & login screen, background color of tiles, font color of tiles, color of charms sidebar, color of charms sidebar tiles and color on hovering sidebar items. A color box is given in front of each of the above mentioned elements. When you click the color box, a full color dialog box containing a large number of colors appears. You can now select a color of your choice and click OK. You can make color changes to as many elements as you want. Finally, click the “Change All” button and all the changes that you have made will be applied. 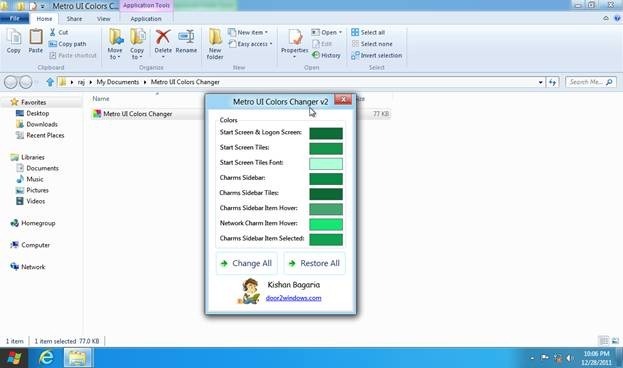 If you are not satisfied with your selected colors, you can revert to the original Windows 8 color set by clicking “Restore All” button.